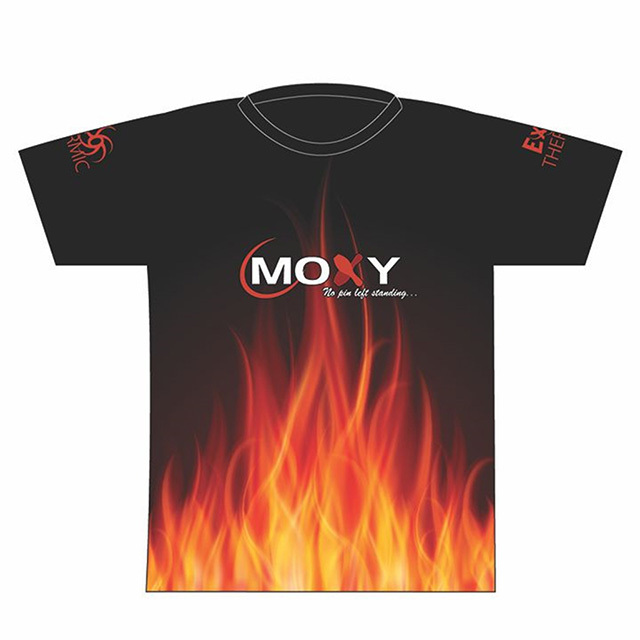 Show some MOXY on the lanes with this exclusive MOXY, No Pin Left Standing Jersey. This also features our Exothermic logo. This Dye-Sublimated Shirt is a Short Sleeve Performance Shirt with Moisture Management. Fabric Content is 100 percent polyester and is available in Ladies and Mens Cuts. The main picture may show the Crewneck, Polo or Sash Style. Please make a note that we will ship the shirt style based on what you choose in the dropdown menu. There are NO RETURNS allowed for shirts that are custom that you add your name to. The cut and sew shirts are a little more form fitting and not boxy. If you prefer your shirt to have a little more room, you may want to order a size larger than you normally do. Please allow 14 Calendar Days for production of your dye sublimated cut and sew shirt.